Today was my day off from card making. My friend Sarah and I had planned to head to Box Hill with her daughter but in the event the weather forecast was pretty bad so we had a change of plan and went up town by train to the Tate Britain instead. On the way in we came across a ballerina being photographed doing high kicks next to a telephone box so I knew the day could become a little surreal. We went specifically to see the ‘Aftermath’ exhibition with art from and after the First World War. It was a fascinating exhibition and we spent over 2 hours in there. We also enjoyed lunch and a wander around the gallery which I have not visited for a number of years. 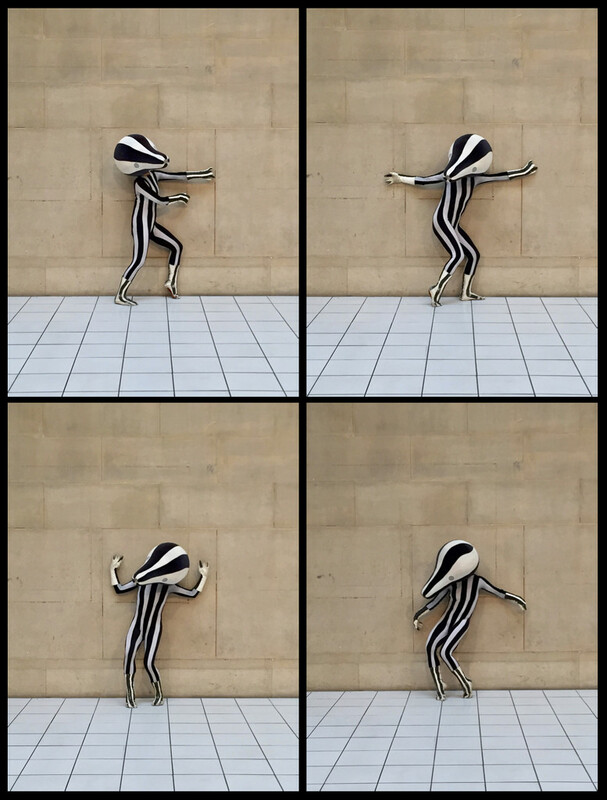 A little later we came across what appeared to be a balletic badger striking poses in one of the galleries - seen here. Apparently this is also an exhibit called ‘The Squash’ by Anthea Hamilton!